At the risk of offending some of my friends, I’m going to let you in on a little secret. I’ve been giving wedding gifts that cost me a total of $3. A whopping $20.00 if you include the frame. In this season of life where it seems every weekend is a bridal shower, a wedding, or a baby shower, I have struggled to find personal and meaningful gifts that don’t break the budget. 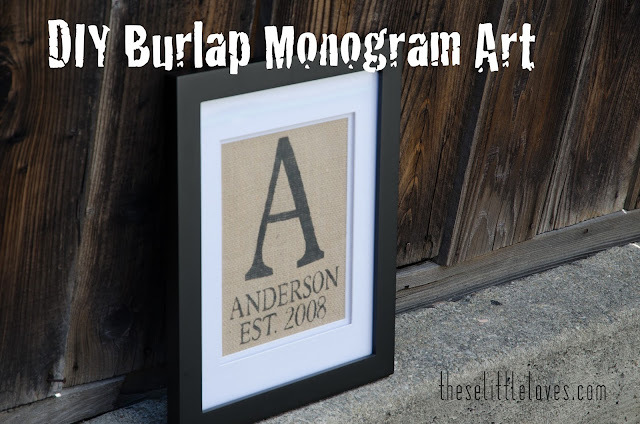 The inspiration for this burlap art came from Etsy (just search for 'personalized burlap art'). My inner southern girl loves a good monogram and what new bride doesn’t like to slap her new initials on everything? (Well...assuming she is actually changing her name...might want to check first!) I felt a little guilty as I always try to support other Etsy sellers, but as I mentioned, we were trying to keep this on a tight budget. With a little trial and error, I was able to make a DIY version. This has now become my ‘go-to’ wedding gift and I even made some as Christmas gifts last year. So far it has been a big hit! Frame - I got my frame at Michaels and used a 40% off coupon. I love the double mat. Burlap - Burlap is inexpensive and you can buy burlap at Joann’s or other fabric stores. Check the remnant bins - I found mine for 50% off! Letter Stencils - Finding the appropriate stencil is probably the most difficult part of this project. There are several options. The easiest option is if you have a paper-cutter like a Cricut or a Silhouette to custom make your letter stencils in your choice font. I have a Silhouette Cameo so I was able to lay it all out on the computer using any of my computer fonts and cut my stencil as one piece (about as easy as it gets!). Before getting my Cameo, I also had used a Cricut to do the same project. With a Cricut you aren’t able to lay out designs on the computer so this took a little more trial and error, but still fairly simple. If you don’t have this equipment, there are still options, they just may be a little more time consuming. 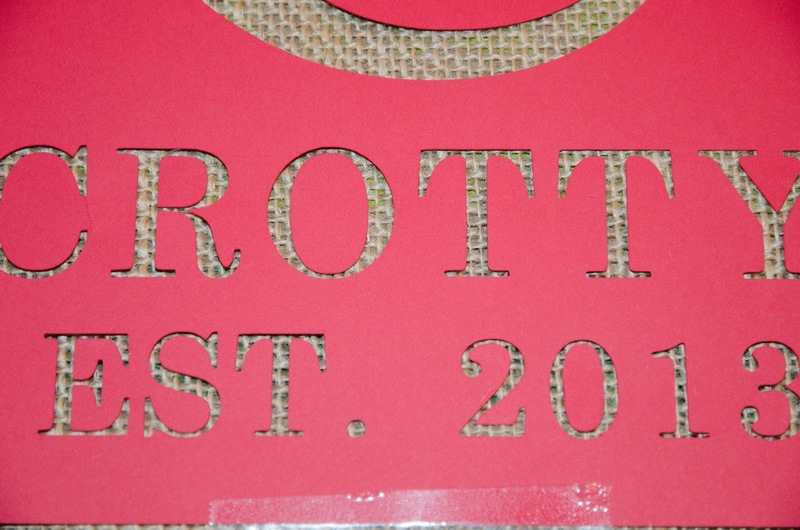 You can purchase different sized letter stencils at craft stores. It is just important to know what size letters you need for the space available and length of the name. 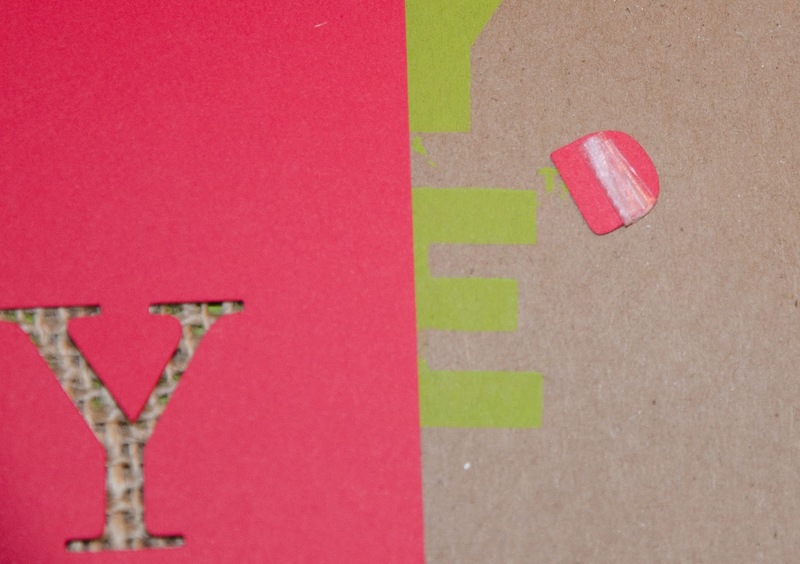 If you use individual letter stencils, use a ruler or masking tape to help align the letters so they won’t be crooked. Iron burlap to get the creases out as necessary using a low setting. Beware that burlap smells gross when heated up so don’t do this before a dinner party:). Place the 8.5” x 11” paper on top of the burlap and trace around the paper. Cut out the traced area. This will give you a piece of burlap sized for an 8” x 10” finished product and extra margin for attaching to the mat in the frame. 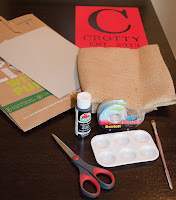 Place your stencil or stencils centered on the burlap and tape in place to prevent shifting. If you have small inner pieces to letters or numbers (as in ‘O’ or 'R'), I use a small piece of scotch tape rolled up on the back of the letter insert and tape to the burlap in place. 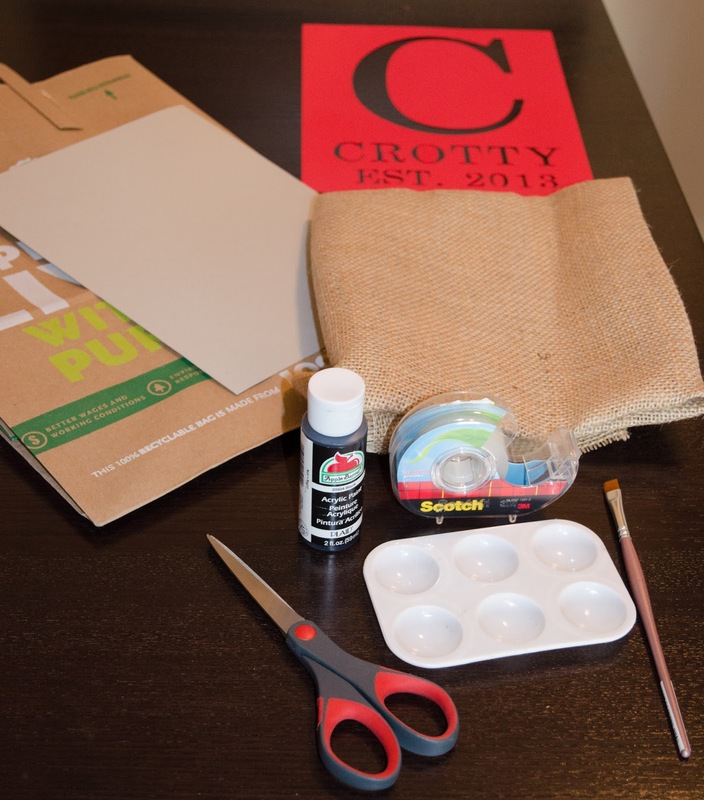 Paint will seep through the holes in the burlap during painting, so place it on the disposable table covering. Paint carefully within the stencil. Do not over-saturate with paint to prevent the paint from seeping and ruining your clean lines. Be careful not to shift the stencil. Let dry. Remove the stencil. Now it is ready for framing! Center the artwork within the frame opening and use scotch tape to adhere the burlap in several locations to the back of the mat. 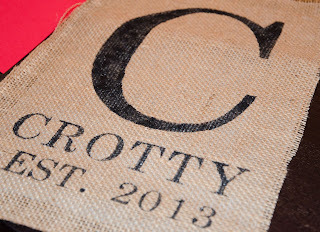 You will want the burlap to be fairly taut, but be careful not to distort in any one direction. 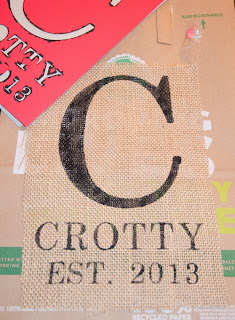 Note that as you can see through the holes in the burlap you will need a backing in the frame. I just used a simple piece of white paper. And that is it! And the possibilities are endless. You can always get creative with your stencils - do a true three letter monogram, add some flourishes, or just a ‘Mr and Mrs’ is always cute. Check out how adorable this monogram art looks as part of the party decorations at this engagement party!